Edited By Adrian Heathfield and Andrew Quick. 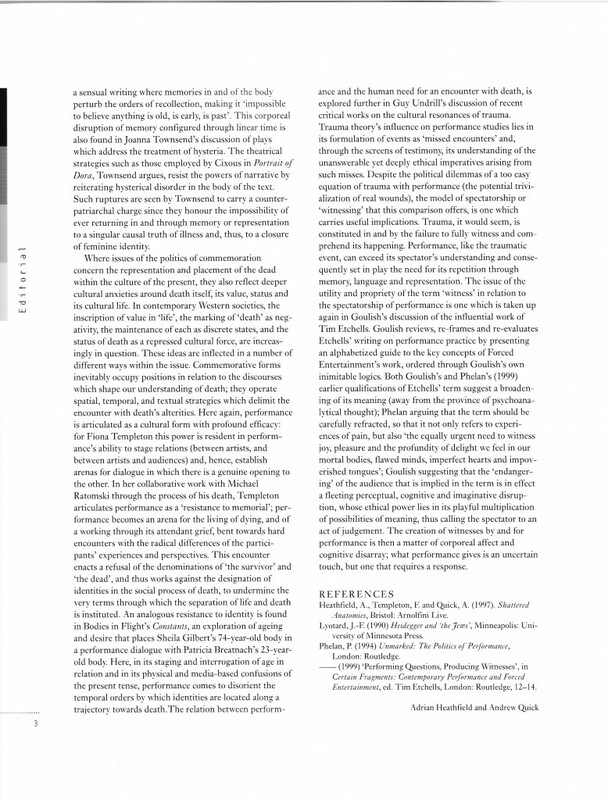 An extensive collection of writings on performance and the politics of commemoration. 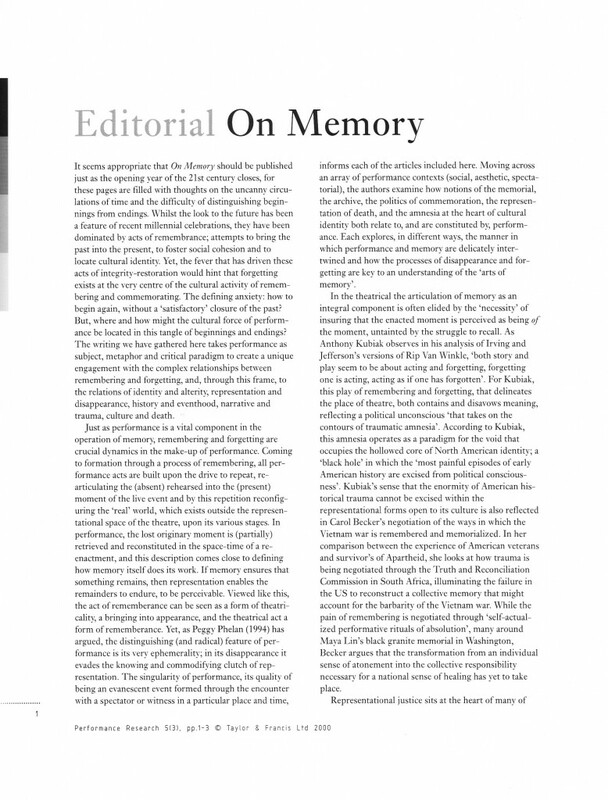 The essays gathered in this issue of the journal Performance Research take performance as a subject, metaphor, creative and critical paradigm in order to engage with the cultural dynamics of remembering and forgetting. 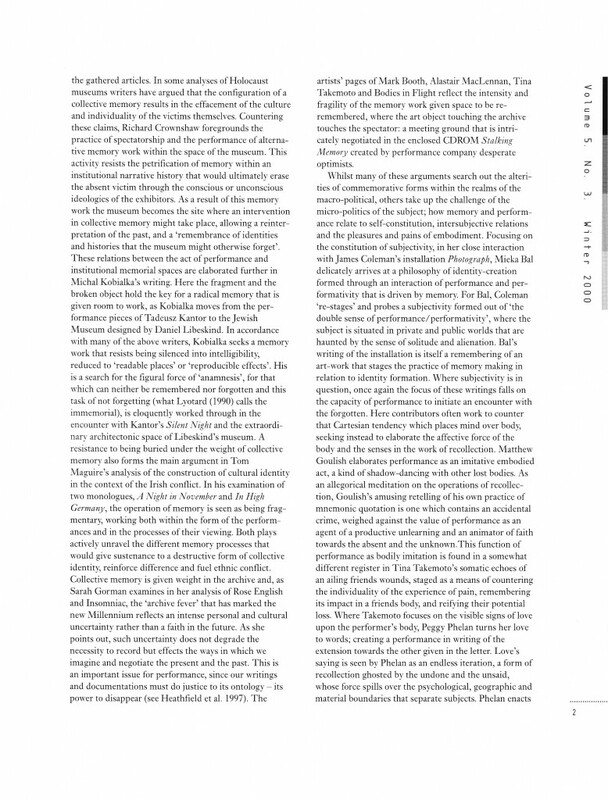 Critical essays sit alongside numerous artists’ pages. The journal also includes a CD-ROM, Stalking Memory, an archive of the works of the performance company desperate optimists. Contributors: Alastair MacLennan, Matthew Goulish, Richard Crownshaw, Anthony Kubiak, Bodies in Flight, Michal Kobialka, Marc Booth, Carol Becker, Tom Maguire, Tina Takemoto, Peggy Phelan, Sarah Gorman, Mieke Bal, Fiona Templeton, Andrew Quick, Joanna Townsend. Homepage image: Fiona Templeton, Prison Sentences, 1995. Photo: Bill Jacobson. © the artist and Bill Jacobson. 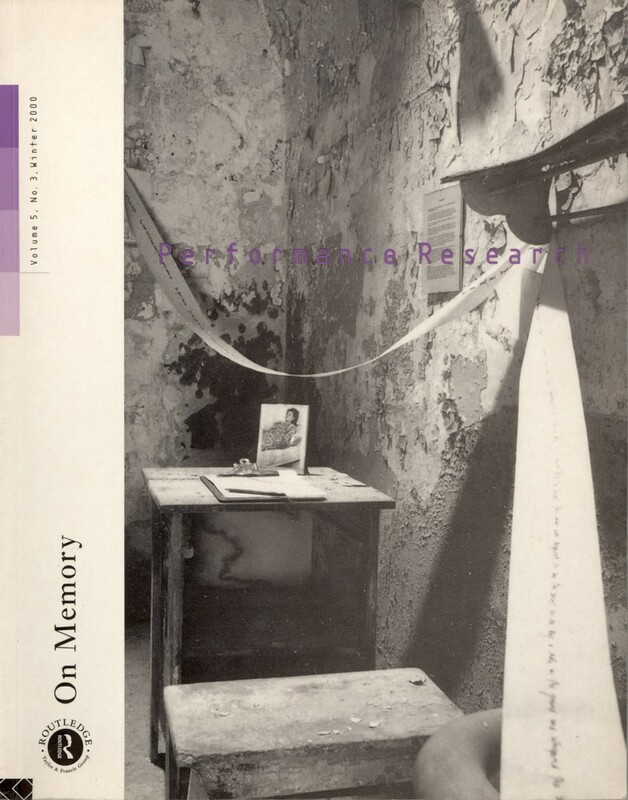 On Memory, Performance Research, vol. 5 no. 3, Routledge, December 2000.